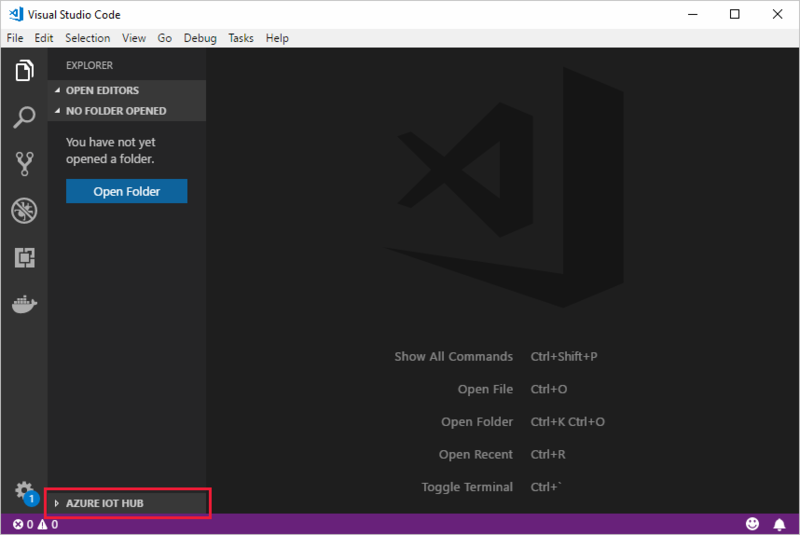 This article shows you how to use the Azure IoT Tools for Visual Studio Code to create an Azure IoT hub. Click on the ... in the Azure IoT Hub Devices section header. If you don't see the ellipsis, hover over the header. Enter a globally unique name for your IoT Hub. Wait a few minutes until the IoT Hub is created. Use the Azure IoT Tools for Visual Studio Code to send and receive messages between your device and an IoT Hub. See the Azure IoT Hub Toolkit wiki page.